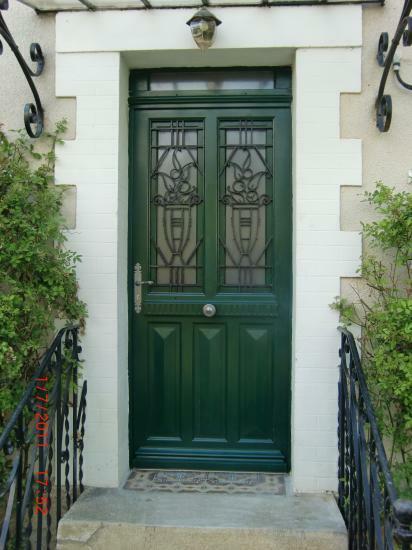 Restitution front door 1900. bedrock 3 panel diamond-shapêd and panel insulation inside. Belt decorated, fluted vertical. Grids protection of the old door, stripped, repainted. Picture rail and glazed transom repeatig. 164 votes. Average: 2.55 / 5.